anyone who wants to understand the power of stories to capture hearts and minds will benefit from the lessons presented in this course. The oral storytelling tradition is as old as language itself. Throughout history, stories have primarily existed in the verbal realm, preserving and passing knowledge across generations before being canonized in print. This was true of the ancient epics, and it's true today. Your family history, your company's history, the stories you tell that define and shape your identity-these are all stored in your mind and shared through your actions and words. what the story could be-because we don't like the reality of what the story is. So how do you tell stories that stick-in your own mind and in the minds of your family, friends, colleagues, and clients? 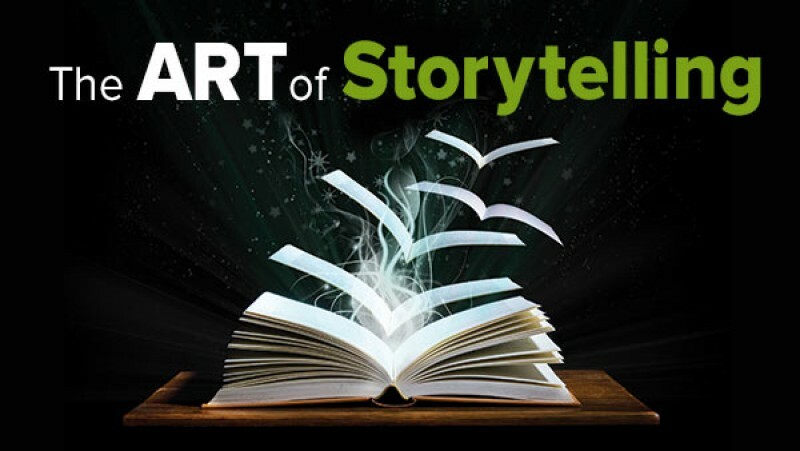 That's precisely what you'll learn in The Art of Storytelling: From Parents to Professionals, an enthralling course that reveals the tried-and-true methods experienced storytellers use to develop and tell engaging, entertaining, and memorable tales. In 24 lectures, Professor Hannah B. Harvey demonstrates how to master the art form's basic principles with the same witty, dynamic energy that has made her an internationally recognized professional storyteller and award-winning educator. Even if you never plan to set foot on a stage, knowing what a professional storyteller does in the process of crafting and delivering a tale allows you to enhance the stories you tell everyday-to your children at bedtime, in your conversational anecdotes, and in your presentations at work. Teachers, lawyers, clergy, coaches, parents, and anyone who wants to understand the power of stories to capture hearts and minds will benefit from the lessons presented in this course.